The hotels near the Roanoke-Blacksburg Regional Airport and Valley View Mall in the Roanoke Valley in Virginia&apos;s Blue Ridge Mountains offer great variety while being conveniently located in the heart of the region. 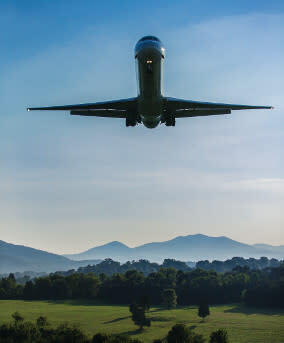 The Roanoke-Blacksburg Regional Airport is a beautiful regional airport that is easy to navigate while providing simple and affordable connecting flights to major airline hubs such as Charlotte, Atlanta, New York, Philadelphia, Chicago, and Washington-Dulles. Many of the hotels offer direct shuttle service to and from the airport, making it easier to spend your time enjoying Virginia&apos;s Blue Ridge instead of thinking about logistics. Numerous hotels around the airport offer meeting facilities, making them popular options for businesses and other associations that choose Virginia&apos;s Blue Ridge as a destination for meetings, conventions, and special events. These facilities are professional, affordable, and conveniently located to many exciting activities and attractions. Valley View Mall and the surrounding stores also offer plenty of opportunities for outstanding shopping. There is great variety of locally-owned stores as well as major chain retailers and an extensive selection of many popular restaurants. The restaurants can accommodate large groups or families with children and offer menus that meet any special dietary needs. Accommodations in this part of the region also provide easy access to the rest of Virginia&apos;s Blue Ridge. You&apos;re only minutes away from Interstate 81, hiking trails, Downtown Roanoke, the Blue Ridge Parkway, and much more when you stay at a property near the Roanoke-Blacksburg Regional Airport and Valley View Mall. 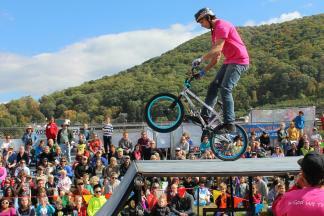 Exciting festivals and events throughout the year!